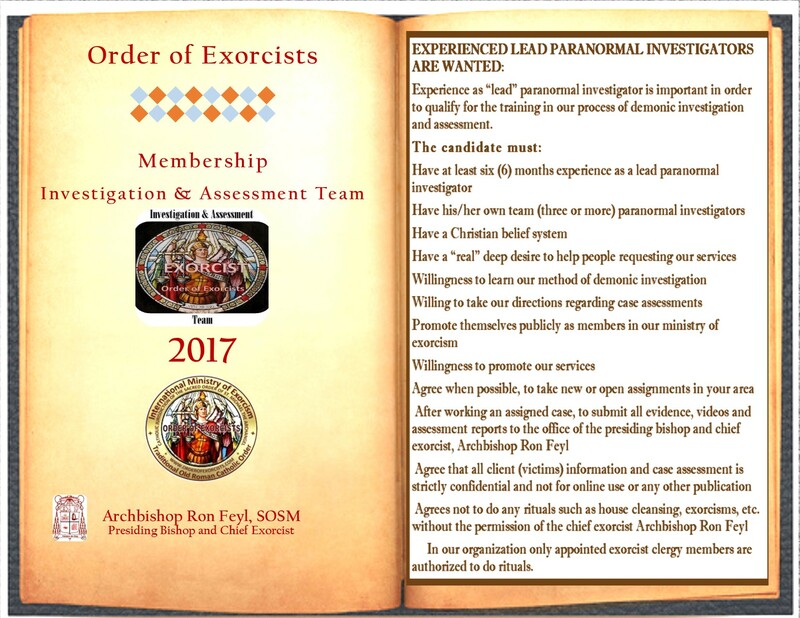 The Sacred Order of Saint Michael the Archangel – Order of Exorcists is recruiting warriors who want to fight the good fight. 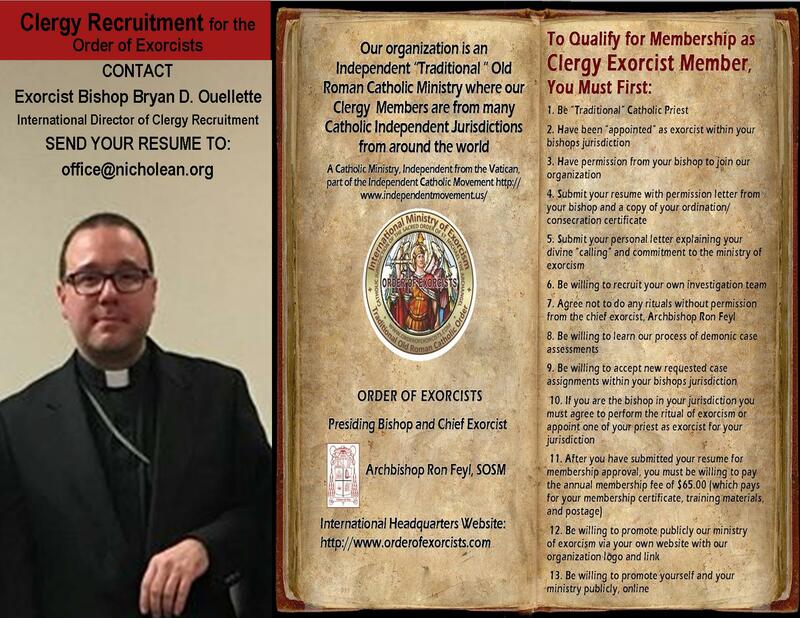 Applicants must be ready to battle good versus evil and be devout Christians who believe in the power and name of the Lord Jesus Christ. A warrior must definitely believe that he has been called by God to be a warrior. 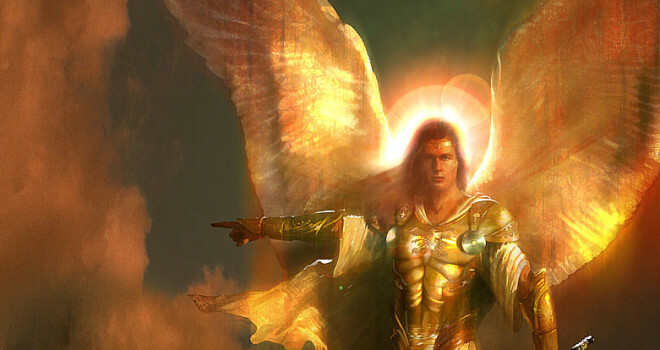 He must be ready to engage in battle against demonic forces and hold his ground until the possessed person is freed. The required warrior characteristics are compassion, commitment, determination, perseverance, and most importantly love. If you are coming to the Order as a priest from another jurisdiction you must submit a letter from your bishop requesting entry to the Order. 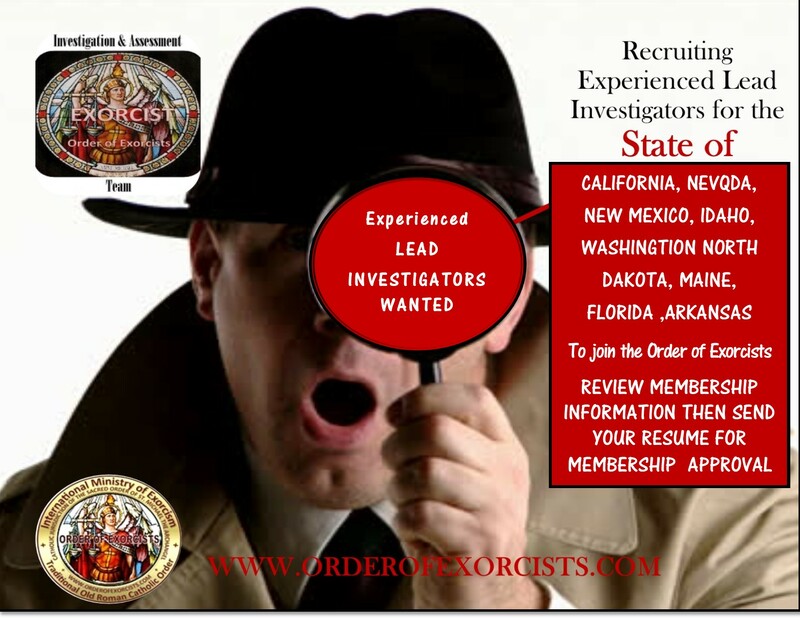 If you are coming to the Order as a paranormal investigator who would like to be one of our lead exorcist investigators, you must submit your resume for membership approval prior to paying membership fees, showing your professional lead investigator experience in the form of a letter/email at the time of membership. DO NOT PAY THE ANNUAL MEMBERSHIP FEE OF $65.00 UNTIL YOU HAVE SUBMITTED YOUR RESUME AND BEEN APPROVED FOR MEMBERSHIP.